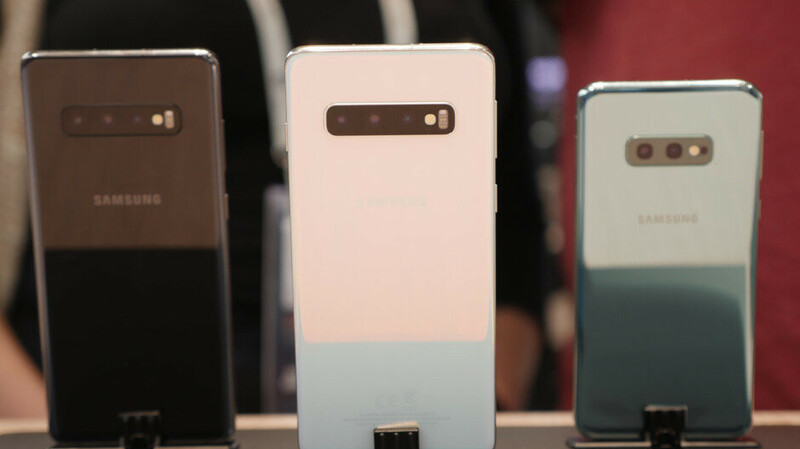 Don't fret about the Galaxy S10 family pricing, as it's basically just a few tens over the basic S9 model at launch, and there is just one extra model, but the trio offers much more to early adopters, especially in the camera and storage departments. For anyone else willing to wait, you won't be happy by the price depreciation of Samsung's flagships in recent years. The S9 is currently going for $620 over at Samsung and even more at carriers, though you can certainly find it for less at other places. Best Buy is taking up to $650 off pre-orders of the Galaxy S10e, S10, and S10+ with activation and trade-in of an eligible device. That's up to $550 for the trade-in and $50-$100 extra discount depending on which carrier you activate. The retailer is also bundling Samsung's free $130 eCertificate with the S10 and S10+; overall, nothing to write home about. While Costco is taking a pass on a good Galaxy S10 deal this time, another membership discounter swooped in to take its place. Sam's Club will give you a $200 gift card to stack on top of whatever other promos you may take on Samsung's newest flagship ($100 for the S10e). The deal is the best third-party one you can get, provided you have Sam's Club membership card. 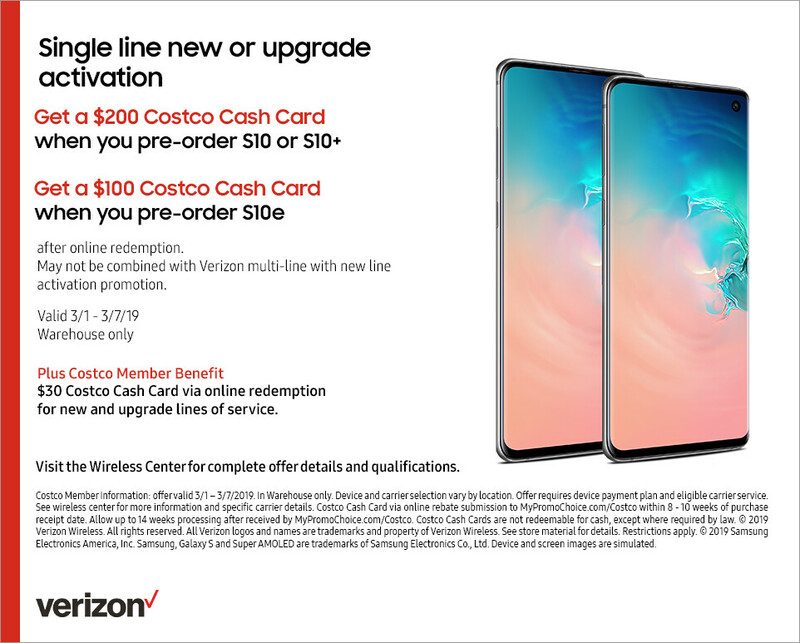 Costco is also giving a $200 gift card on the S10 ($100 on S10e) like Sam's Club but only if you activate the handsets on Verizon. In any case, it will save you a trip to the carrier store if you go on your weekend shopping at Costco anyway. The free Samsung Buds or eCertificate ($130 value) go without saying, but Walmart also tacks on a free Samsung Wireless Charger Duo ($120 value). Verizon activations of the S10 get extra $150 in savings for a great all-around deal. This is what the other cell phone companies need to start doing. Getting their phones into every carrier and store. Nokia needs to start their comeback. Good job Samsung. Did you guys even see what Best Buy's trade in offer is? They are matching Samsung's trade in offer, but it looks like the trade in offer for LG is better at Best Buy. LG V35 for $550 and LG V30 for $300. $550 for last year's flagship is nothing to scoff at.